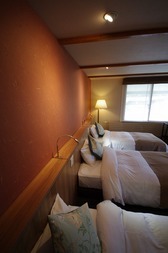 Japanese-style rooms feature with tatami mat floors and Japanese futon bedding . A Japanese daily breakfast and dinner are served in the hotel’s restaurant. Guests can relax in the outdoor hot spring , unwind in a public bath indoors, or soak in a private-use indoors hot spring bath. We can prepare an extra bed for a party of 3 guests. 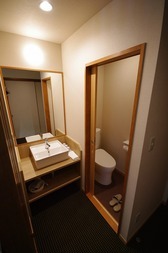 The property will allocate a Japanese-style room or Western-style room to the guest on arrival. copyright © 2016 志賀高原 ホテル白樺荘 All Rights Reserved.